A distinctive feature of the Saint Louis University Athletic Training Program is that, as a 3+2 Master of Athletic Training program, that students in the program can participate in intercollegiate athletics for the Billikens. 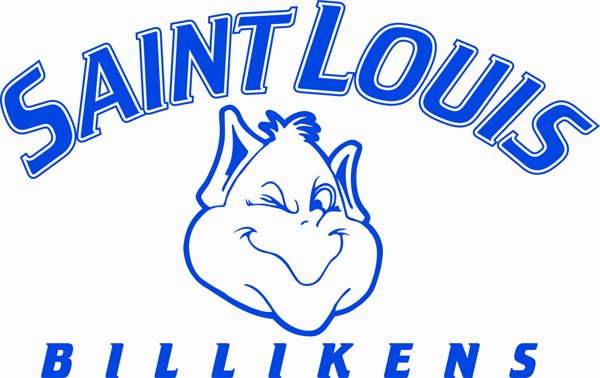 Several of these AT students who participate in Billiken Athletics were honored recently by the Atlantic-10 Conference on the Commissioners Honor Roll and by SLU Athletics on Academic Excellence Night. PHILADELPHIA, Pa. - The Atlantic 10 Conference established a new record for number of student-athletes, with 1,637 earning Commissioner's Honor Roll distinction for the Fall 2012 semester. Saint Louis had 96 honorees on the list. To be listed on the Commissioner's Honor Roll, a student-athlete in an Atlantic 10-sponsored sport must have a 3.5 GPA or better (on a 4.0 scale) during the specified semester. Freshmen are eligible to receive the award. "Our Honor Roll numbers are impressive and our student-athletes should be commended on their dedication," Commissioner Bernadette V. McGlade stated. "The additions of Butler and VCU played a significant role in last semester's increase, but to have our 14 other members increase their total number of honorees by over 100 shows the commitment and the importance of academics in the A-10." The 1,637 honorees marks the highest number of student-athletes to achieve the distinction since prior to 2007, making it the most during Commissioner Bernadette V. McGlade's tenure. It eclipsed the previous record of 1,369 set last spring semester. It also is the fourth straight semester, the total number of honorees has surpassed 1,300 and topped the previous semester. ST. LOUIS - Saint Louis University's department of athletics will celebrate Academic Excellence Night on Wednesday, Feb. 27 during the men's basketball game against Saint Joseph's. Tip off for the game is scheduled for 7 p.m. 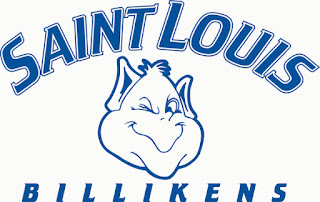 In the fall 2012 semester, 212 Billiken student-athletes earned a 3.0 grade point average or better. Women's cross country and track and field had the most selections, with 27 team members on the list.